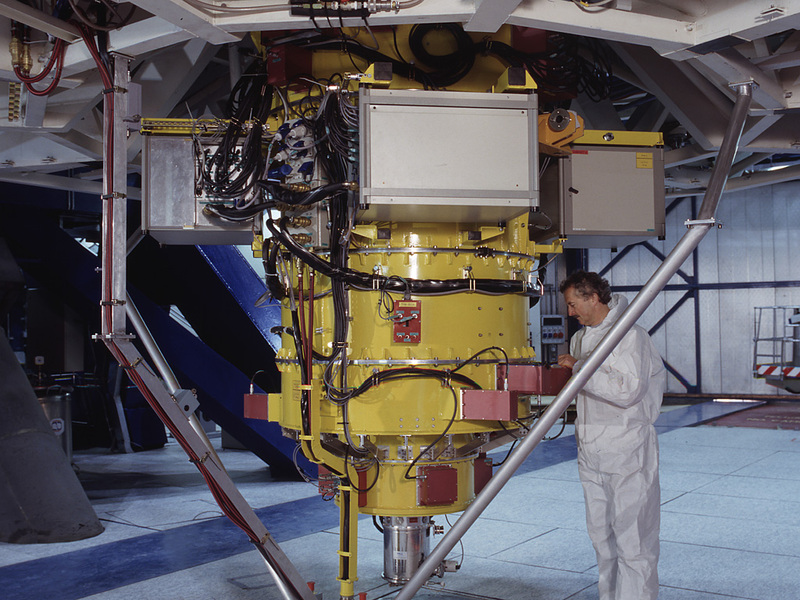 General view of the FORS1 astronomical instrument, installed at the Cassegrain focus of UT1. 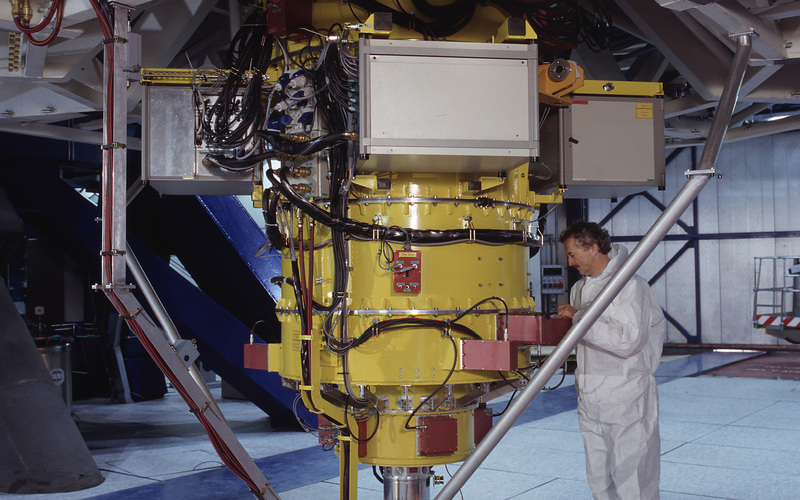 It was mounted here in September 1998 and has since produced a long series of excellent observations, both images and spectra. Some of these have resulted in spectacular views of astronomical objects, cf., e.g., ESO Press Photos eso9846 and ESO Press Photos eso9857. 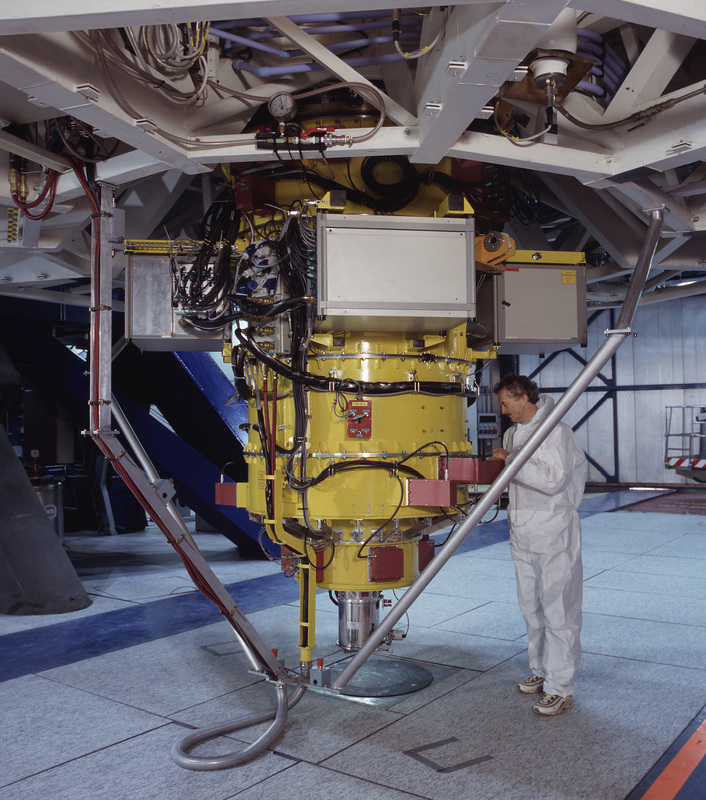 The second FORS1 commissioning phase was carried out in late December 1998. 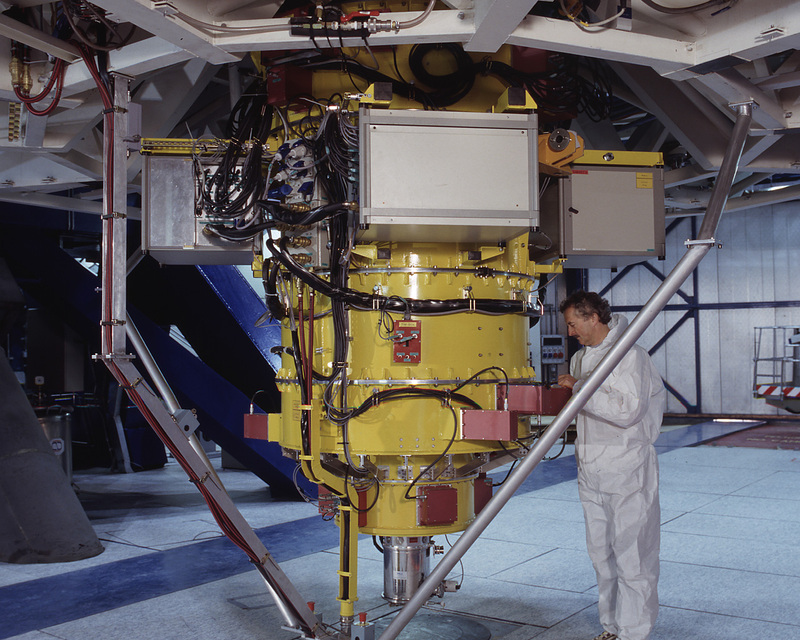 (Photo obtained on December 5, 1998).